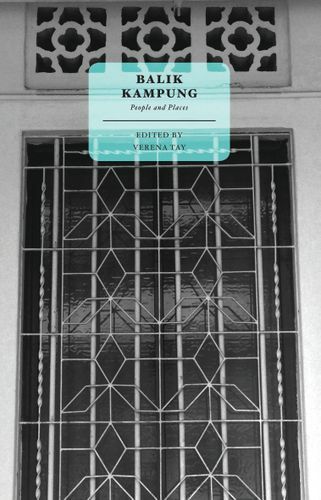 In the short story anthologies, Balik Kampung, Balik Kampung 2A: People and Places and Balik Kampung 2B: Contemplations, writers were invited to share their experiences and perspectives from having lived in a particular district of Singapore for at least ten years. Come listen to the series editor, Verena Tay, as she shares about the themes of place and identity that are richly revealed in the three books, and why it is important to tell stories about the spaces in which we live or places that we know well, even if they no longer exist. Contributors Yu-Mei Balasingamchow, Tania De Rozario and Woon Chet Choon will also be reading their respective Balik Kampung stories featured in the anthologies and discussing their experiences of recording history through creating fiction. Registration is on a first-come, first-served basis. To register, please e-mail nhb_nm_lectures@nhb.gov.sg with your name and contact number. If registering for more than 1 pax, please provide the details of the other participants.